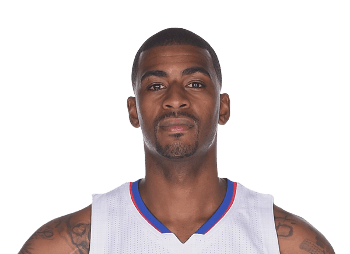 Dorell Lawrence Wright (born December 2, 1985) is an American professional basketball player who last played for the Miami Heat of the National Basketball Association (NBA). Wright was drafted in the 2004 NBA draft by the Miami Heat directly out of high school. 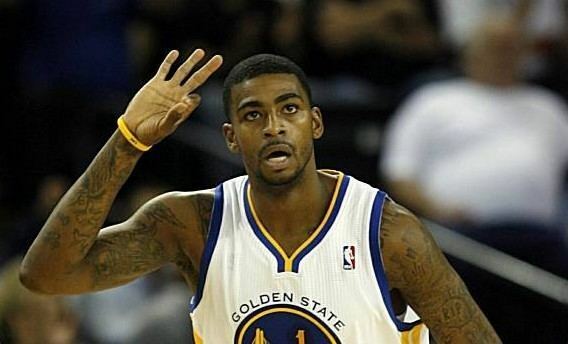 He has also played for the Golden State Warriors, Philadelphia 76ers and Portland Trail Blazers. He has previously led the league in three-pointers made, and was selected to participate in the NBA Three-Point Shootout in 2011. Wright attended Washington Preparatory High School in ninth and tenth grade before transferring to Leuzinger High School. After his senior year at Leuzinger, he enrolled as a fifth-year senior at South Kent School in Connecticut, where he averaged 29.4 points, 14 rebounds and 5 blocks per game in basketball. Considered a five-star recruit by Rivals.com, Wright was listed as the No. 4 small forward and the No. 12 player in the nation in 2004. He initially committed to attend DePaul before entering the NBA draft. Wright was selected 19th overall by the Heat in the 2004 NBA draft. On February 5, 2005, he made his professional debut in a 108–97 win over the Chicago Bulls. On January 3, 2006, Wright was assigned to the Florida Flame of the NBA Development League. On January 18, he was recalled by the Heat. At the end of the year, he was the youngest member of the Heat's first NBA championship squad. 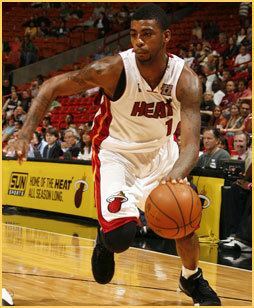 On August 21, 2008, Wright re-signed with the Heat. On July 12, 2010, Wright signed with the Golden State Warriors. On November 27, he set a franchise record with nine three-point field goals made, surpassing Jason Richardson's record of eight three-pointers set on March 29, 2007. On February 8, 2011, he was selected to compete in the 3-Point Shootout at the 2011 NBA All-Star Weekend in Los Angeles. On March 18, 2011, against the Phoenix Suns, Wright went scoreless in the first half, but scored 30 points in the second half in a 108–97 loss. He finished the game with 30 points, 6 rebounds, 2 assists, and 2 blocks. On March 23, he scored a career-high 34 points to go with 5 rebounds and 6 assists against the Houston Rockets in a 131–112 loss. On April 6, 2011, Wright set a Warriors franchise record for three-point shots made in a season with 184 in a home win versus the Los Angeles Lakers, beating Jason Richardson's previous record of 183 in the 2005–06 season. On April 13, 2011, he became the first player in NBA history to have scored more points in his seventh season than all of his first six combined in a win against the Portland Trail Blazers. He also ended the season with the most three-point shots made in the 2010–11 season with 194, as well as the most three-point field goals attempted with 516, both of which set Warriors franchise records. The records were surpassed by Stephen Curry in the 2012–13 season, when Curry set the NBA record for three-point field goals made. After the 2010–11 season, Wright finished third in voting for NBA Most Improved Player, behind LaMarcus Aldridge and Kevin Love. 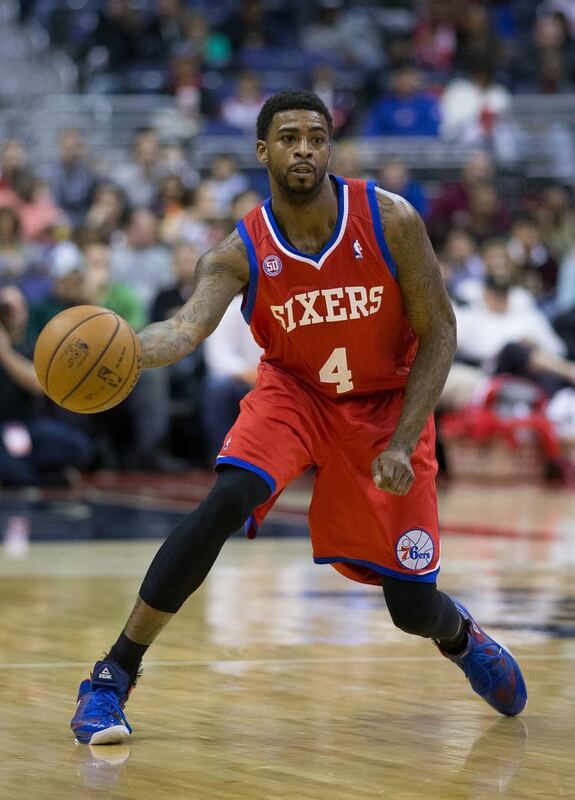 On July 11, 2012, Wright was traded to the Philadelphia 76ers in a three-team trade. 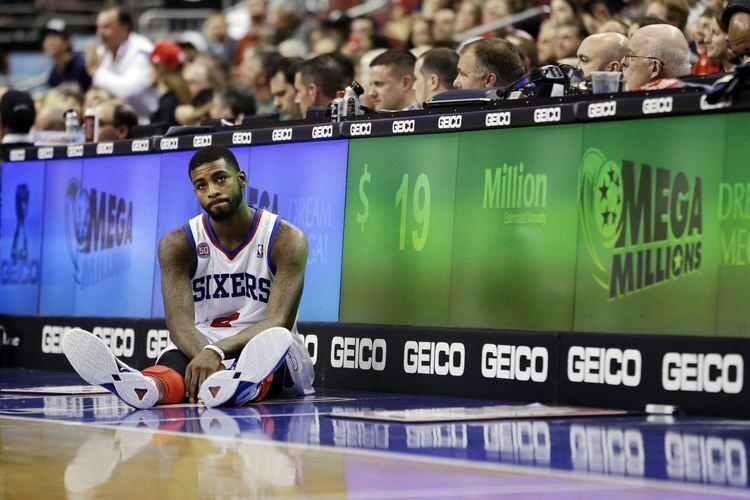 On October 31, 2012, he made his debut for the 76ers in an 84–75 win over to the Denver Nuggets, recording three points, one rebound and one assist in 16 minutes. 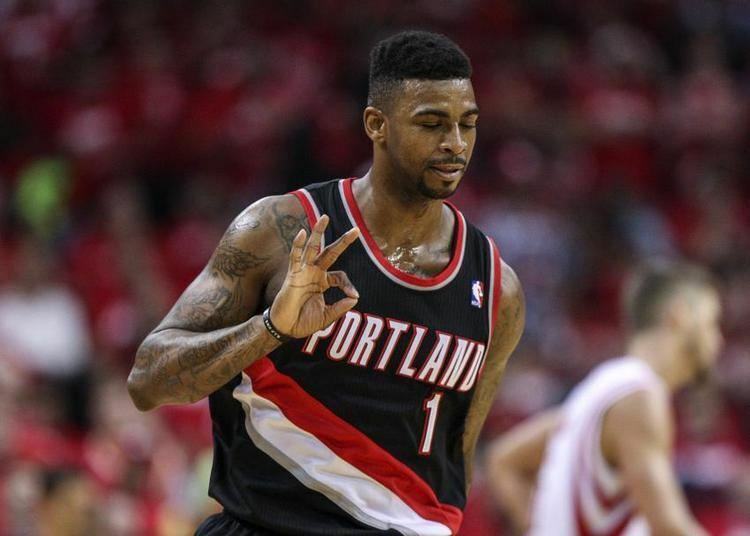 On July 10, 2013, Wright signed with the Portland Trail Blazers. 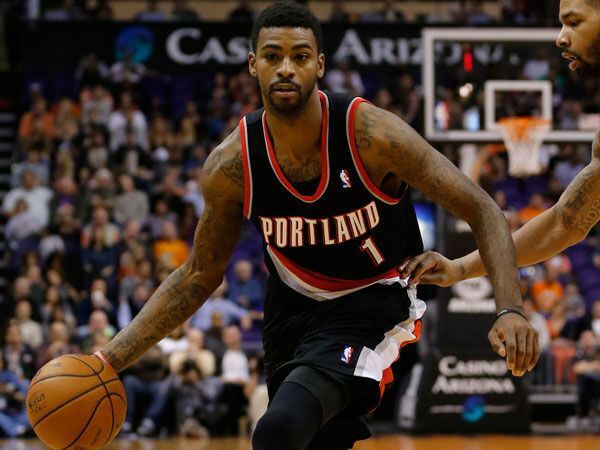 On October 30, 2013, he made his debut for the Trail Blazers in a 104–91 loss to the Phoenix Suns, recording three points, one rebound and one assist in 16 minutes. On August 17, 2015, Wright signed with the Beikong Fly Dragons of the Chinese Basketball Association. In 37 games for the Dragons, he averaged 24.3 points, 7.5 rebounds, 2.5 assists and 2.0 steals per game. On April 12, 2016, Wright signed with the Miami Heat, returning to the franchise for a second stint. On April 17, Wright checked in during the final minutes of a 123–91 win over the Charlotte Hornets in Game 1 of the first round of the playoffs. He received a standing ovation from what remained of the home crowd. In his first appearance for the Heat in six years, he scored eight points on 3-of-3 shooting. On September 26, 2016, Wright signed with the Los Angeles Clippers, but was waived on October 12 after appearing in two preseason games. In August 2014, Wright married long-time girlfriend, Mia Lee. He is the older brother of Toronto Raptors guard Delon Wright.